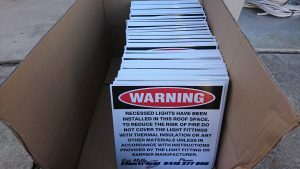 Corflute signs are a cost effective way to promote your business or event. They are a lightweight weather resistant product ideal for short term use and suitable for indoor or outdoor use and can be applied almost anywhere and are easily installed. They are great for transporting and displaying from one place to the next. 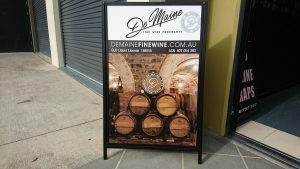 Our corflute signs are customised according to your business needs and can be single or double sided if required. 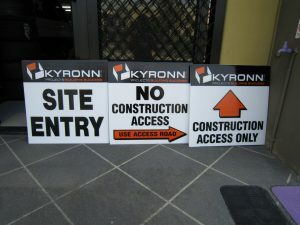 An ideal signage solution for real estates, construction sites, restaurants, sporting clubs, government signs etc. Prices work on a gradient scale depending on the quantity required and the can also be finished with eyelets if needed.